Over the past five years we have written various blogs about automated breast ultrasound (ABUS). These have included: the history of ABUS; a 2013 paper by Giuliano in Clinical Imaging; FDA approval for Delphinus; and the emergence of another ABUS contender. 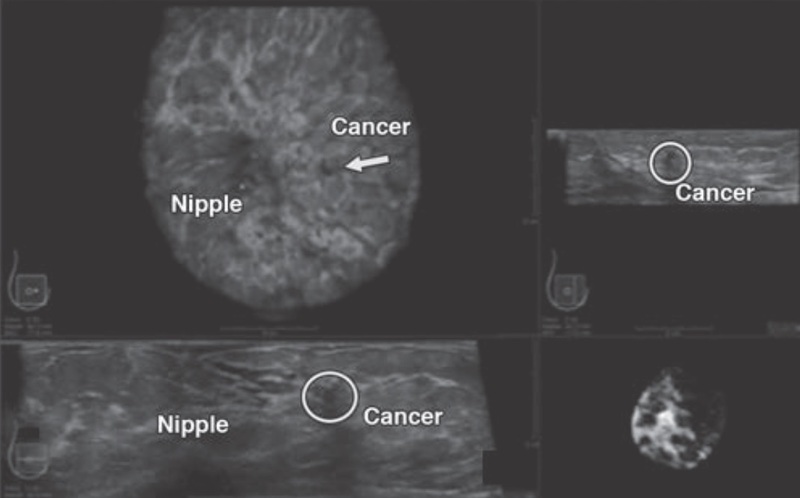 The American Journal of Roentgenology has just published an important study in which the objective was to assess the performance of radiologists in the detection of breast cancer using full-field digital mammography (FFDM) alone compared with FFDM plus 3D automated breast ultrasound (seen above right, © AJR). 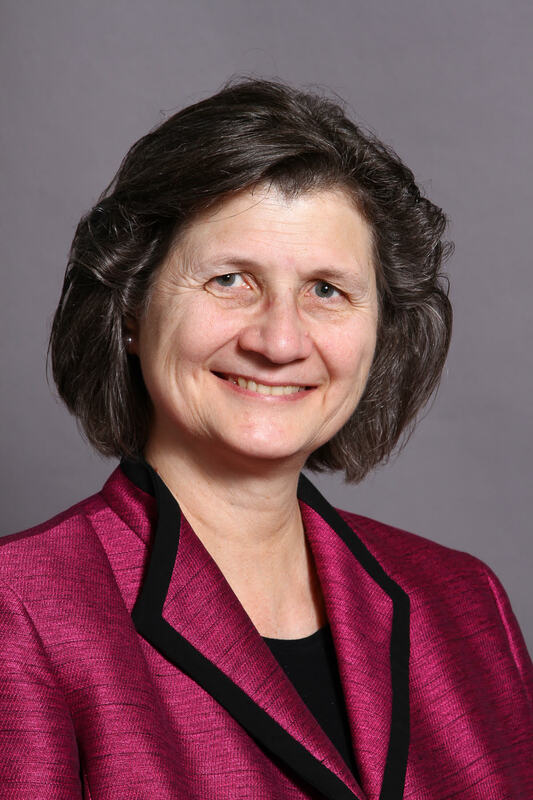 Maryellen Giger (seen below, © IEEE) from the University of Chicago and colleagues have added another key chapter to the debate about breast cancer screening of women with dense breasts. In the USA to date, 27 states have enacted legislation requiring clinicians to inform women if FFDM reveals they have dense breast tissue and to offer them additional imaging. This normally means hand-held ultrasound, but the modality has a few shortcomings, including the time to acquire the images – at least 20 minutes – and operator variability. That’s where ABUS can make a difference. The study design included 17 qualified radiologists who interpreted 185 cases of asymptomatic women with dense breasts (BI-RADS 3 or 4): 52 had biopsy-proven cancers and 133 women had no cancer. The readers first interpreted FFDM alone and subsequently studied FFDM combined with ABUS. Their performance was measured in terms of the area under the curve (AUC) of the receiver operating characteristic (ROC) curve, as well as sensitivity and specificity. Co-author Rachel Brem of George Washington University added: “It can be difficult for radiologists to figure out exactly what’s the best way to integrate ultrasound into the workflow. ABUS is a good bet. It finds more cancers – clinically significant ones – and it’s efficient.” This article adds more grist to the CapeRay mill: our Aceso system combines FFDM and ABUS in a single platform and, as highlighted in our recent paper in Clinical Imaging, requires just 10 minutes to acquire a full set of X-ray and ultrasound images. Nice to know Cape Ray competes well! I’m all for technology that saves lives and can see the cancer sooner.